Changing lives – assistance needed. Millions of girls lose critical days, even weeks, of school through lack of access to tampons and sanitary towels. 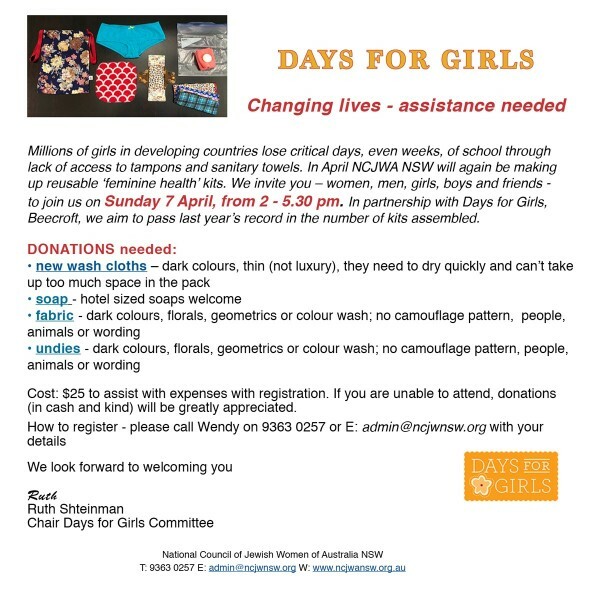 We will again be making up reusable ‘feminine health’ kits. We invite you to join us on Sunday 7 April from 2 – 5.30pm.